Cheryl Cole was rushed to a Surrey hospital last night, after suffering with suspected malaria. SEE MORE CHERYL COLE PICS HERE! Despite taking a course of anti-maleria tablets, it’s thought Cheryl contracted the bug during her recent ten-day trip to Tanzania with Dancing With the Stars pal Derek Hough. The X Factor starlet was first diagnosed with exhaustion and gastroenteritis, after collapsing at a photo shoot on Sunday. But after being sent home to rest, reports suggest Cheryl’s health deteriorated further, and she was later rushed to a private medical facility. ‘She told doctors she’d had stomach pains since her return from Tanzania. On Sunday evening her condition deteriorated so rapidly she knew it was something serious,’ one insider told the Sun. A spokesman last night confirmed Cheryl has been diagnosed with the potentially deadly disease, and will be taking time out to rest. ‘Following doctors’ advice, Cheryl Cole will be canceling all work commitments for the next week,’ an official statement read. But medical insiders warn it could take even longer for Mrs C to make a full recovery. ‘Doctors are concerned that her immune system is weaker because she’s been working so hard,’ one insider revealed. 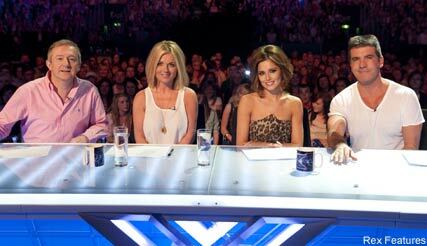 Cheryl’s X Factor bosses are said to have been notified, with Simon Cowell extremely concerned about the star. ‘Simon Cowell has told her the absolute priority must be for her to rest. There is no pressure and no rush,’ one insider told the Daily Mail. Has Cheryl been pushing herself too hard since her split from Ashley? Let us know your thoughts in the comments box below.